Summertime Memories: QTA’s Blog Hop & Giveaway! The forsythia is blooming, and so are the daffodils, redbud, and hyacinth. The pear trees have blown most of their blossoms in a flurry of snow-like showers. Cyclists and joggers have magically appeared once more, and my mare has shed out her winter coat. Is it summer yet? 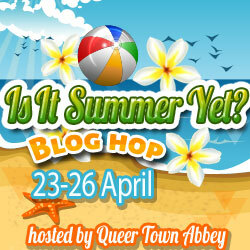 That’s what QTA is asking right now, as part of their “Is It Summer Yet?” blog hop! Participants are invited to share their favorite summer memories and link back to the blog hop, so that readers can jump to the next participant and get in on their chance to win some cool summer prizes, including an iPod Shuffle! Be sure to check out the Rafflecopter on QTA’s page and enter the Grand Prize Giveaway! Comments left here on this post will enter the reader in a giveaway for my combination of two short stories: Summer Fling. So be sure to leave your email address in your comment if you’d like to be considered for my giveaway here today! You know, I can’t think of one particular summer memory that stands out–rather it was summers in general that were special to me when I was growing up. Every summer, from the time I was about six until I was nine or ten, my parents sent us children to stay with our grandparents for a good bit of the summer. My grandfather was the pastor of a large church which held a vacation Bible school each summer. Now, I know what you’re thinking–I can hear you going, “Huh?” right now. But this vacation Bible school was like no other I’ve ever heard of since. Every morning for three weeks, a school bus would collect us from the church parking lot and we’d drive for what seemed like hours until we reached what was only known as “The Farm.” For the next hour, we’d dutifully attend Bible study as taught by my grandfather, and then we’d be released like a herd of wild horses down to the lake owned by the church. We swam like fishes all morning–in and out of the lake, on the docks, down on the sandy beach, and back in the water again. At noon, we’d tramp up the hill to the large open-air pavilion, where the women of the church had been preparing food for us all morning. We’d fall on it like hungry wolves! For the next hour, we were forbidden to go back into the water, presumably to let our lunches digest. We’d play tetherball if the weather was nice, but most of us couldn’t wait to get back into the lake. From 1 pm until 4 pm we’d swim again, then load back up in the bus to head home for the evening, sunburnt and exhausted, and thoroughly satisfied with our day. I learned how to swim at the Bible school. I also learned how to play chess, and the card games Rook, Hearts, Go Fish, and Jack-Change-It (which is a lot like Uno). When it rained, we did crafts instead of swimming, making Plaster of Paris representations of The Last Supper, or boiling marbles until they cracked so we could glue them on burlap with fake leaves and call them grapes. I don’t remember any bigotry, or hatred, or politics. A simple Bible lesson in the morning and then hours of the most fun I’ve ever had. It was the best part of the year, and the best part of growing up. My grandparents accepted us for who we were, warts and all. I don’t ever recall a harsh word or anyone even losing their temper with us. I grew up in that church. When I went off to college and tried to find another church to call home, I was struck by how…inadequate…I found most of them to be. I finally found what I thought to be a good one, with a minister that reminded me of my grandfather, who didn’t preach politics or hatred but spoke plainly of how best to walk with Christ each week. Then his wife asked for a divorce–and his church fired him. Fired him because a divorced man was unacceptable to them as a minister. I was shocked and saddened, and began searching for another church to call home. I never found one. For most of my adult life, I’ve searched for the kind of loving acceptance I found in my grandfather’s church. Perhaps it was naive of me. But the church I grew up in changed when my grandfather retired, and religion seems to have changed as well in the years since my childhood. And while I still have strong religious beliefs, I no longer believe in the Church as an institution, which saddens me. Because most of what I hold dear is an abomination to this new Angry Church, and I can’t hold with the intolerance and enforced ignorance I see coming out of the Church today. But those summers were sweet. Oh, so sweet. Be sure to leave your email address in the comments below if you’d like to be entered in the giveway for an e-copy of Summer Fling! Also, go back to the main list on QTA to enter the Rafflecopter and hop on to the next blog! This entry was posted in Uncategorized and tagged blog hop, contests, horses, Sarah Madison, writing by Sarah Madison. Bookmark the permalink. You guys just keep getting inundated with rain, don’t you? I hope the sun comes out a little this summer for you! Sarah Madison recently posted..Summertime Memories: QTA’s Blog Hop & Giveaway! Oh wow, you have a pretty seasonal business then! I know what it’s like to have to make hay while the sun shines. 🙂 Sounds like you know when to take a break too, which is good. I’m bad about not taking any time off in the busy season! You’re entered in the contest–good luck! Me too, up to a point. 🙂 It gets incredibly muggy and hot around here. 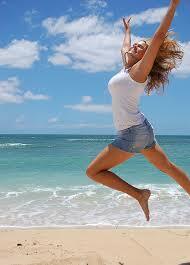 I’m hoping for a relatively cool summer–so far, I haven’t had to plug in the air conditioner yet! I love the beach, camping, and lazy summer days reading in my hammock! Sounds like the perfect summer holiday! You’re entered in the giveaway–good luck! Summer as a kid was spent at equestrian camp in upstate NY. Love all my Spruceland friends and still talk to some of them to this day! You’re entered in the giveaway! Got you entered in the giveaway! I love the beach & summer family vacations. Got you entered in the giveaway–thanks! I never thought I’d ever say this, but I wish I’d been sent to Bible school!! It sounds like a ton of fun! That’s a great summer memory! Got you entered into the contest! Lovely post, Sarah. I’m sorry that you haven’t found a church that chimes with your beliefs. It’s rather sad when some of the old childhood certainties turn out to be anything but. I’m usually of the mind that JC wasn’t nearly as narrow minded as many of his churches would have you believe. I suspect I could find a church like that now if I wasn’t a) living in the South and b) living in a rural area of a Red State. It sounds like you had some wonderful summers. When I think back to the summers when I was younger they were always hot and sunny and I can’t ever remember it raining, all the holiday and we’d spend most of the time on the beach. I’m from England so I think it must rained a some point!!! It definitely must have rained at some point–or maybe it’s making up for lost time now? I hear you guys have been inundated with rain in the past year! I’m a big Anglophile myself, though I only got to visit the UK for the first time last year. Would go back in a heartbeat, though! Got you entered in the giveaway–good luck! My pleasure! Got you entered in the giveaway–thanks! My summers weren’t really fun. There were some summers that were a bit more fun then others. I really love fries so walking the Boardwalk and enjoying the beach air while eating a bucket of fries with family was memorable. I loved summers growing up at grandmas, summer festival concerts ( pre WHO fiasco), going to New Smyrna Beach or Cocoa Beach with HS friends. Aw, thank you, Anders! It was loads of fun and I appreciate the work you did organizing it! Looking forward to the next one!